My all time favorite for sure. 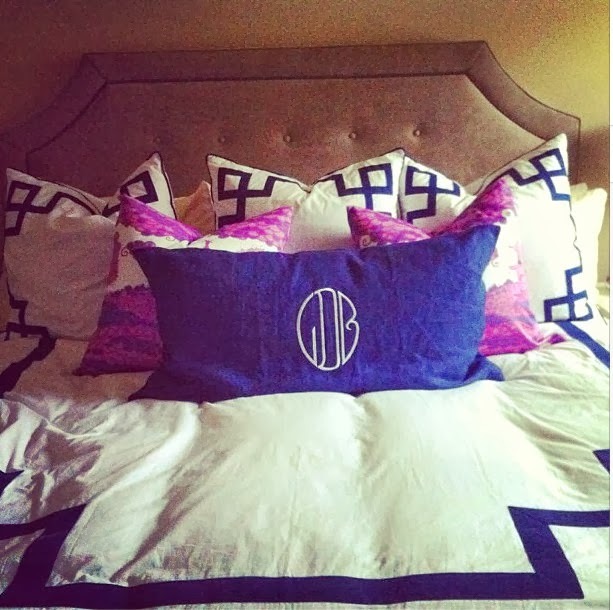 I love monogrammed pillows for sure!! 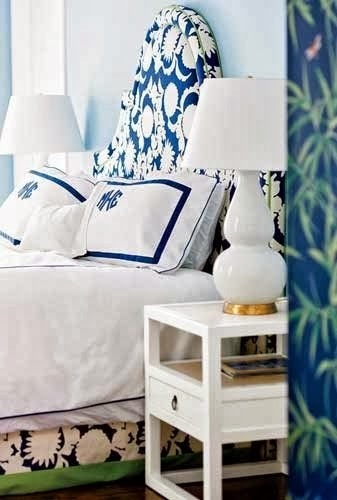 So elegant and add so much to the bed! It boarders on being a bit cutesy but it is definitely fun! Love the picture above the bed in the first one. 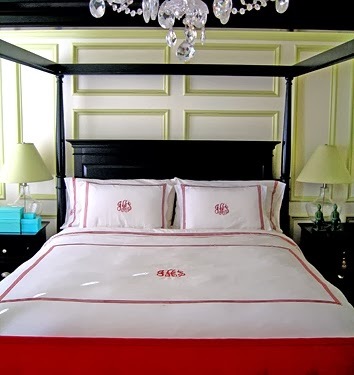 Every bedroom in my house has a monogram, luckily we only have two bedrooms. I have a problem with it. Love all of it!!! 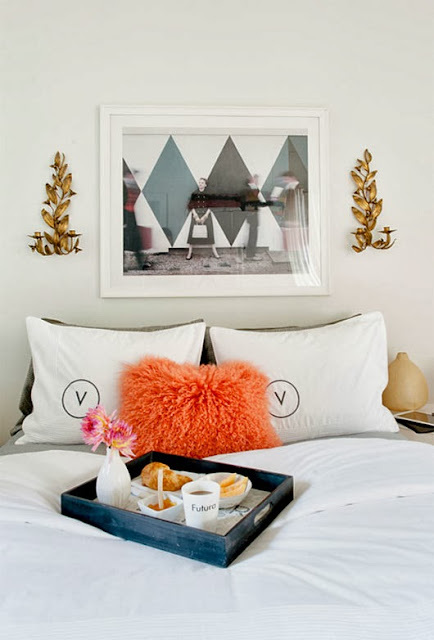 Dying over the bedding for your client! 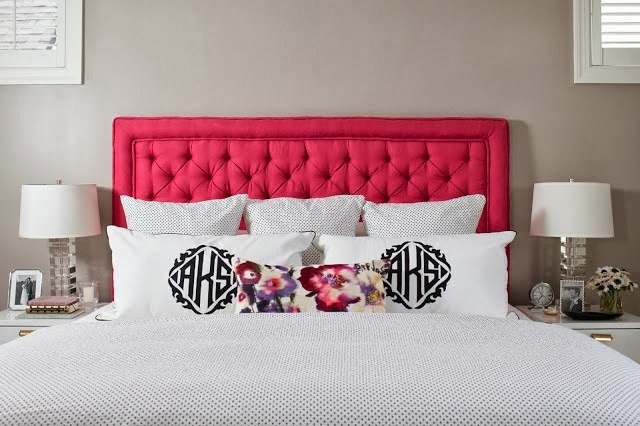 Monogrammed bedding is EVERYTHING!!! Love your client's bed design! Yes! 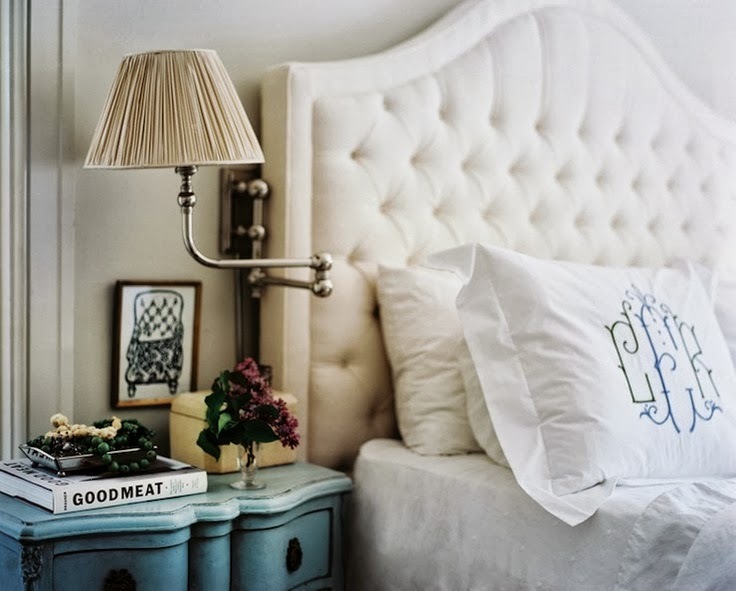 Monogrammed anything, bedding and coffee mugs are two of my favorites right now. 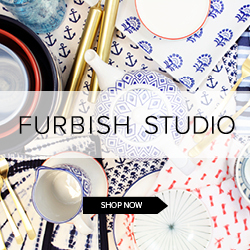 Love everything here, so many pinnable images! that first one is perfect- SO simple! I love the monograms. That one with the single letter for each person is a fantastic idea. Love a good monogram...just can't get enough!! 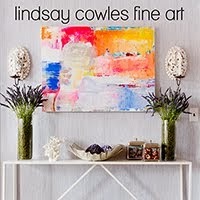 Lindsay, so that is what is missing from my bed, and I love monograms! You have inspired me!! 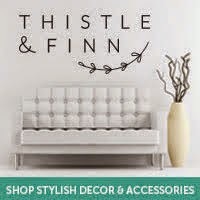 How cute is that hot pink headboard?! I never knew I wanted one so badly. Is the velvet pillow fabric in the lastpicture that you previewed on insta also Danika Herrick? Hands Down my favorite bed set ever! Bravo! Where can I get these bedding sets? I agree I love monograms everywhere! I love the first image....such a modern take. The others are too traditional for me personally. application on your Android smart google.com device.streaming app for Android.The Website Fildo application is among the best Fildo Android Updated Version Download & Install Android applications to download and Fildo APK Download stream songs online. There are many online music Fildo streaming applications for Android, however the Fildo is just one of the very best. your phone, then the device will certainly frp bypass android ask you to confirm your previous Google Account. If you Website do not remember it after that you frp bypass cannot have accessibility to the device.